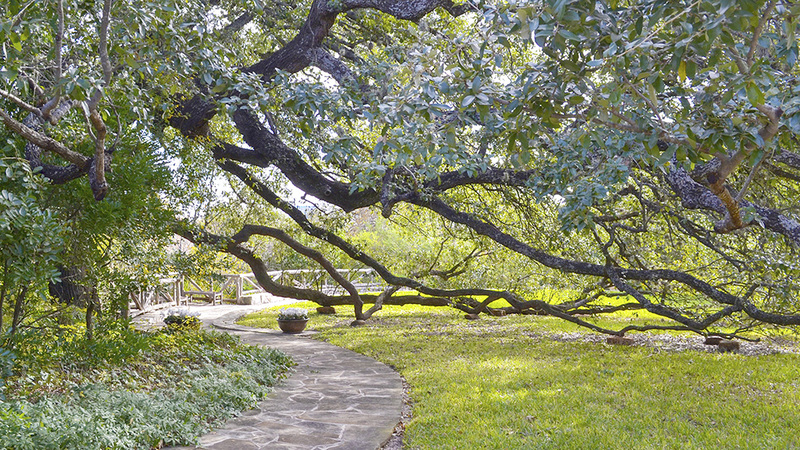 This nineteen-acre property is the former estate of San Antonio businessman Godchaeux Halff, who died in 1950. It is currently owned by the Episcopal Diocese of West Texas, whose headquarters are located on the grounds. 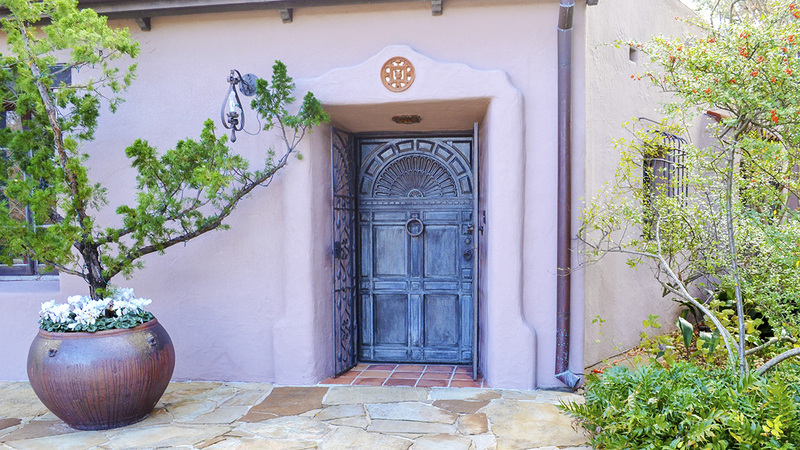 In 1926 Halff hired architect Clarence P. Tedford to design his Mission-style house, now used by the diocese as a chapel. Although mostly dry today, the site’s natural springs once contributed to the headwaters of the San Antonio River. Ten acres of the property have been developed, five of which contain curving flagstone trails that pass by flowerbeds filled with roses, daisies, mountain laurel, and potted perennials. The remaining acreage consists of rolling grass-covered hills filled with pecans, large live oaks, hackberry, elm, buckeye, box elder, Mexican olive, and cypress. Visitors often use the site’s expansive Great Lawn, near the pump house, for dog-walking, picnics, and outdoor games. 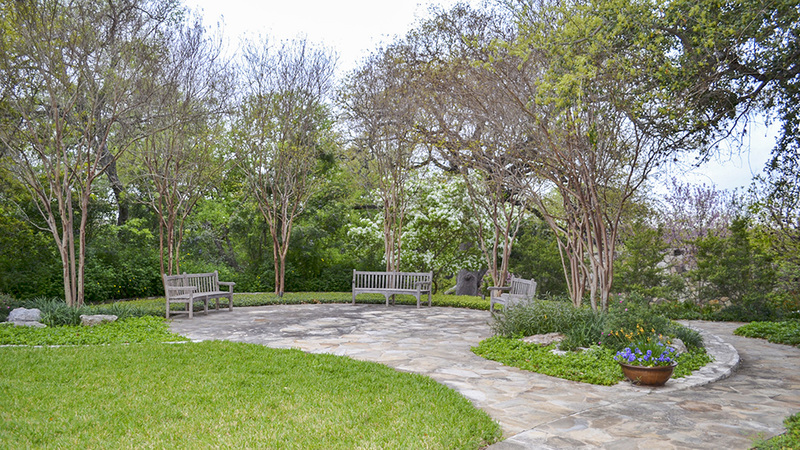 The grounds also contain eight discrete areas conceived as stops on a self-guided walk meant to inspire meditation. 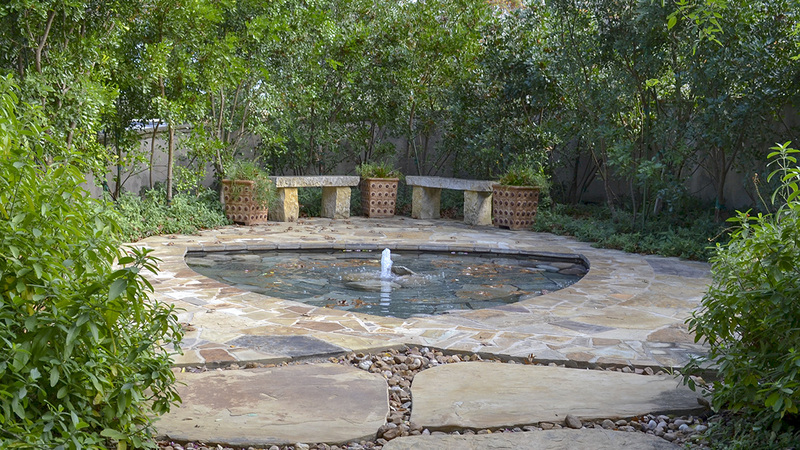 The Pergola of Hope and the three-cornered flagstone Trinity Fountain are designed to represent the Holy Trinity, while a functioning baptismal font also highlights the symbolic role of water in the Christian faith. The Chapel House and Sunrise Overlook are encountered next, the latter with a large live oak whose branches point toward the springs. Located nearby is a columbarium, where the ashes of the baptized deceased are deposited, and the Sunset Overlook, which affords sweeping views down a hill to the pump house in the distance. Behind the pump house, a dam built by Halff supports a recreational pond, while a wooden foot-bridge leads to the Great Lawn.